Snow Day Ideas for the Adult Mind! 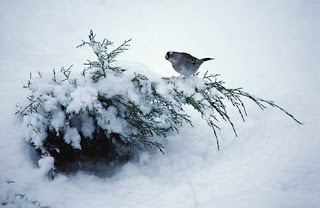 The last big snowfall in our area, we offered ideas to entertain your children on a snow day. During the big snowfall let's think about ways to entertain the adults. 1. Go through old photographs and tell stories about the good times of the past. 2. Pull out a cookbook and fix a dish that you have never cooked before. 3. Do a spa day. How about a facial or pedicure? 4. Go online and start researching your family tree. There are a lot of great websites to help you just do a search. 5. Put out birdseed and enjoy watching the birds from the comfort of your home. 6. Put food coloring and water in spray bottles and go outside with the children to paint the snow. Be careful about spraying your clothes. This idea makes a rainbow snowman. 7. Light you favorite fragrant candle and cuddle up with a book or someone you love! As many of you know we have started carrying Sweet Shop handmade truffles. We currently have Fudge Love, Double Chocolate and our new Cappuccino Truffles. 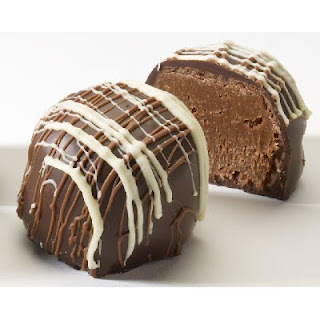 Sweet Shop truffles are found in gourmet candy stores across the country, so we are excited to offer 3 favors of truffles, as well as, toffee bars, milk chocolate pecan brags and white chocolate pecan brags. No one's ever been jilted by a chocolate truffle. After telling your chocolate truffle all your worries you can simply eat it. You can share chocolate truffles with your best friend. A chocolate truffle doesn't bore you by constantly talking about football. Your mother will never disapprove of your choice of chocolate. Personal Note: I know that I blogged a healthy recipe yesterday and encouraged you to eat chocolate today. Everything is wonderful in moderation! I am all about eating a truffle every now and then. Try working at the shops and looking at these all day. It builds will power! As many of you know, I am working on a "healthy eating" as lifestyle rather than a diet. Trying to eat healthy is one of the hardest things I have ever done. I try to make healthy food that tastes good. In the kitchen, I have hits and misses, however the recipe below was a hit with myself as well as my 15 year old daughter, Mackenzie. Preheat oven to 350 degrees. In a large bowl mix potatoes, peas and ham. In a smaller bowl mix soup, parsley and pepper. Pour the soup mixture over the potatoes and mix well. Pour in an 8x8 square dish sprayed with non-stick cooking spray. Mix cheddar cheese and italian bread crumb and add to the top. Bake uncovered for 25 to 30 minutes. Note: You could also add additional vegetables, such as sauted onion or green pepper. Also use your cooking creativity and change your meat to chicken or your soup to cream of mushroom. This is a great base recipe to create many other great dishes. 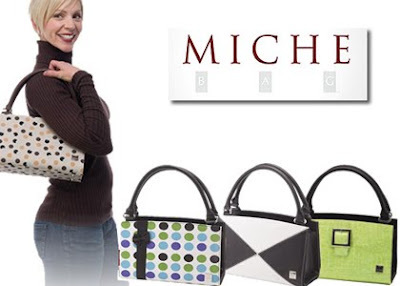 Miche Bags Are Back In Stock! We now have all bags and a lot of covers in stock at both shops. Be sure to stop by and see this new unique bag. You purchase a base bag and a cover to get you started (we offer $5.00 off your initial set). Then you can buy additional covers which can be changed. Each cover has magnets which attachs it to the purse. Right now I have 3 covers and I am loving my bag! Have you thought of inviting your friends to a celebration they will never forget? The Gathering of Friends Cookbook was written as a guide just for you. Celebrate with your friends and family with one of the 16 stunning gatherings highlighted by the authors. Each charter highlights a themed gathering with simple recipes, original tablescape ideas and a ready-to-use shopping list that will amaze everyone. This is a beautiful gift for a friend or new bride. Here is a favorite recipe from the Gathering of Friends Cookbook. It can be made ahead of time and warmed in the microwave just before serving. It is perfect to take as an appetizer for any gathering. Preheat oven to 350 degrees. Combine cream cheese, sour cream, mayo. and Worcestershire sauce in a bowl. Blend until creamy with an electric mixer. Fold in drained clams and salt. Spread in a baking dish and top with cheese. Bake at 350 degrees for 20 minutes. Serve with crackers. 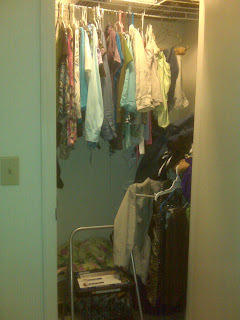 I Am Organizing My Closets! 1. First, pull everything out of the closet and sort in piles based on 1 to 4- with 4 being keep because you wear it regularly and pile 2 is to keep for special events. Pile 3 is items to donate and pile number 4 is trash it. 2. If you have clothes in your closet that does not fit-pack them up and donate them! If you have not worn it in one year-donate it! 3. Use any wall space that is to small to storage items as a place to install a hook for hanging belts or scarves. 4. If you use shoe boxes or other plastic storage boxes to store items like bathing suits or tank top, then label each one with a post note taped on so you can update it regularly has you move items around through out the season changes. Just arrived at both Ivy Ridge locations! 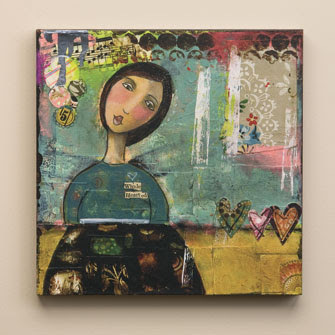 Kelly Rae Roberts wall art, plaques, magnets and necklaces. Each of Roberts' pieces delivers messages of empowerment and reflection, with a touch of whimey. Hang it on your wall for daily inspiration, or use it has a finishing touch to that new outfit! Note from Angela: I have one large print, paired with two 6x6 prints on my hallway wall and I love them. Kelly Rae's work, honestly, make me smile each time I see them. They are truly uplifting in a world that can get you down. 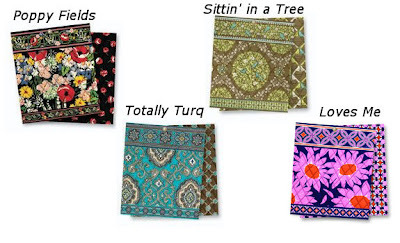 New Vera Bradley Has Arrived! Stop by to see Sittin' in a Tree, Loves Me, Poppy Fields and Totally Turquoise-plus our new stationery and Microfiber Bags are here as well! An Atlanta Favorite Find for Summer! Mackenzie and I found a ton of stuff that we loved! Here is a preview of one of our favorites to arrive in the shop in March! It's an Azula! What is an Azula? 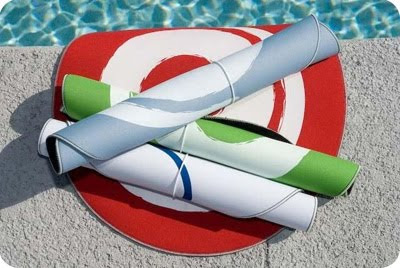 The Azula is a flexible, water resistant and fashionably-designed mat that women and girls place at the edge of the swimming pool to keep their bathing suits from snagging while sitting down. Here We Are In Atlanta Again! Yes, it is that time of year to head to Atlanta to restock the shops after a great Christmas season! Mackenzie and I are about to freeze to death, but having a great time. Above is our find for the day! 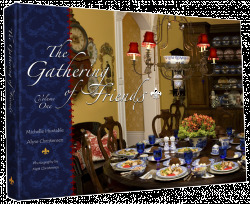 The Gathering of Friends Cookbook, Volume 1, was created to introduce "food as a love language," enhancing traditions, fortifying relationships and celebrating life. Its unique style combines savory recipes and elegant designs in 16 stunning gatherings. Each chapter will leave readers prepared with simple recipes, original tablescape ideas, a ready-to-use shopping list, and inspiration to create their own "gathering of friends." Again a great gift for the person who has everything or the new bride! We ordered some great serving dishes that will be great bridal gifts. We bought many shapes and several styles, including some great serving utensils, too.